I think you’ve noticed that when I want a quick dessert I’m always making my self a keto mug cake. 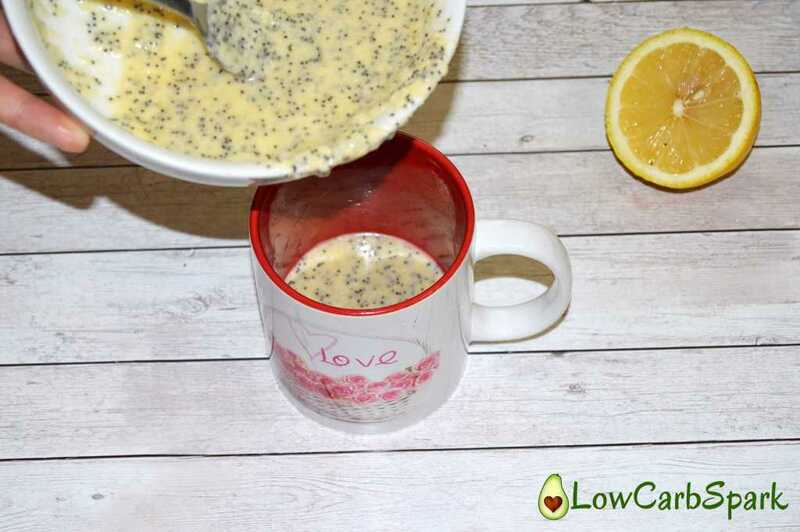 Add all the ingredients in a mug, stir, stir and in less than 10 minutes I have a great treat to enjoy. If you are looking for a perfectly moist and fluffy lemon cake, you are in the right place. 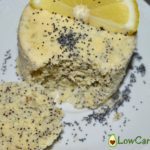 I had to adjust the ingredients before I came to realize the perfect flavor and consistency of the Lemon Poppy Seed Mug Cake recipe. I would not call the first attempts failures because I still ate them with pleasure. It really depends on your taste how you want the cake. 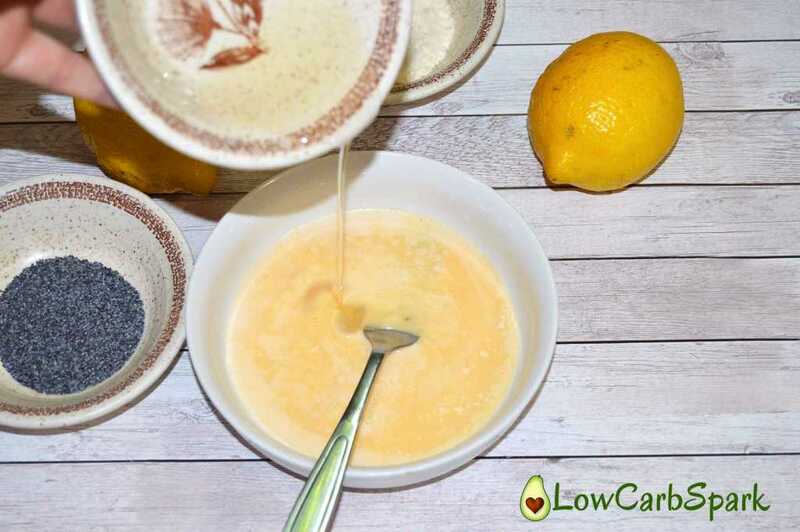 If you want it more sour and sweet tasting, add more lemon juice otherwise reduce the amount of sweetener to your taste. Do the same thing with the sweetener. This recipe is free of sugar, dairy, gluten, and grains. Lemons are a little higher in carbs, but they also packaged with health benefits and the taste? Divine! Anyways, this keto dessert it’s to die for especially when craving something sweet, yet fresh and soft. 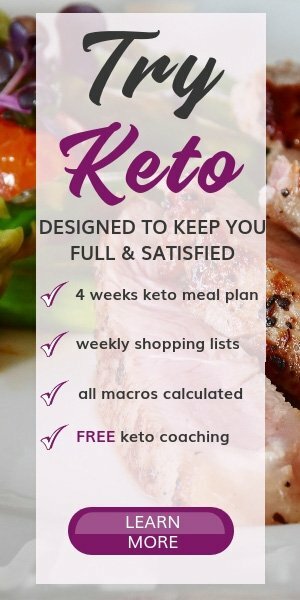 If you are a keto veteran, you may already have all the ingredients in your kitchen. So, what are you waiting for? 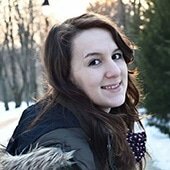 You have a printable version at the end of this recipe. 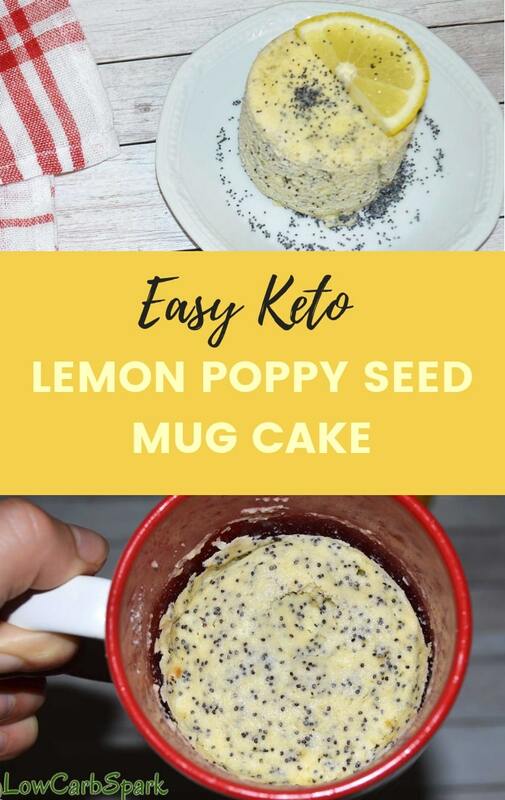 How to make a lemon keto mug cake? Start by beating the egg with a fork. 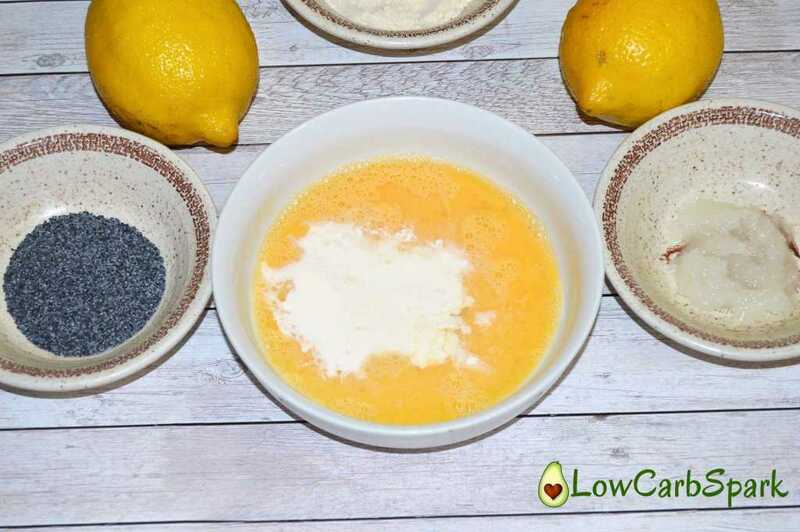 Over the beaten egg add all the liquid ingredients: the melted coconut oil (you can also use butter), the lemon juice, the coconut milk, and water. So, easy! Now add all the dry ingredients. Add the coconut flour. 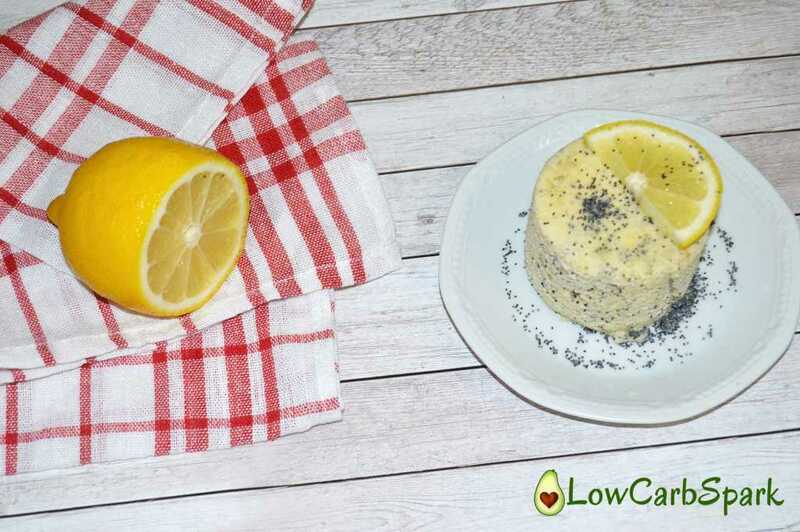 The best part: add the poppy seeds, a pinch of baking powder and 1-2 teaspoons of your favorite sweetener and mix well until you get a nice cake batter consistency. Transfer the mixed ingredients in your favorite greased mug. Let microwave for a minute (or more, depending on your microwave power- they are all different). 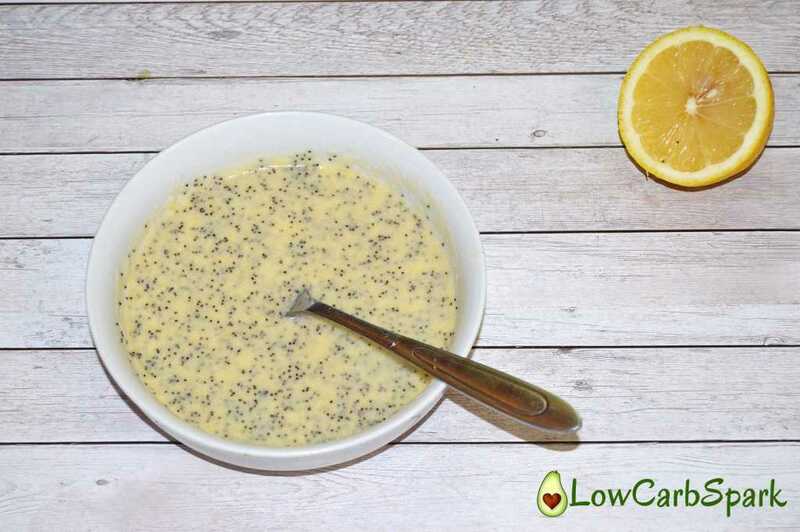 Tip: You can add as much or as little lemon juice as you love. This how it should look like when you get it out of the microwave. Make sure you don’t overcook it (I did it many times, not bad but a bit crumbly and not so moist inside). Let it cool down for a few minutes in the mug, and then transfer it to your plate. 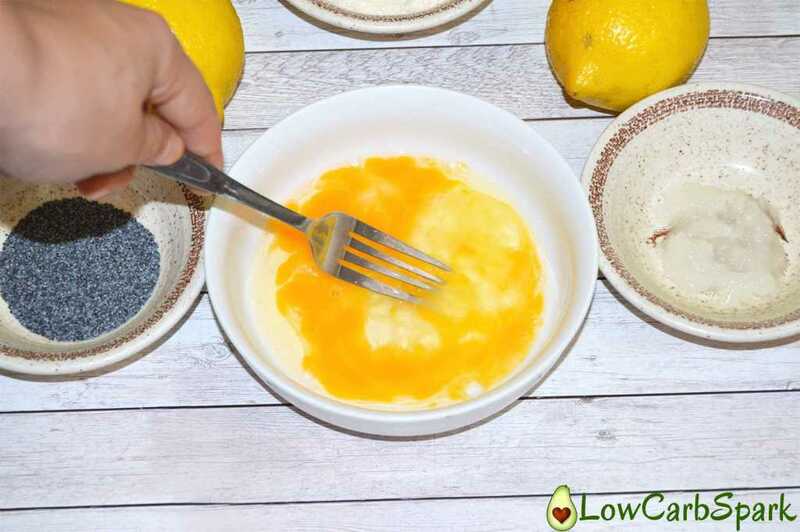 I love to squeeze some lemon juice on top. 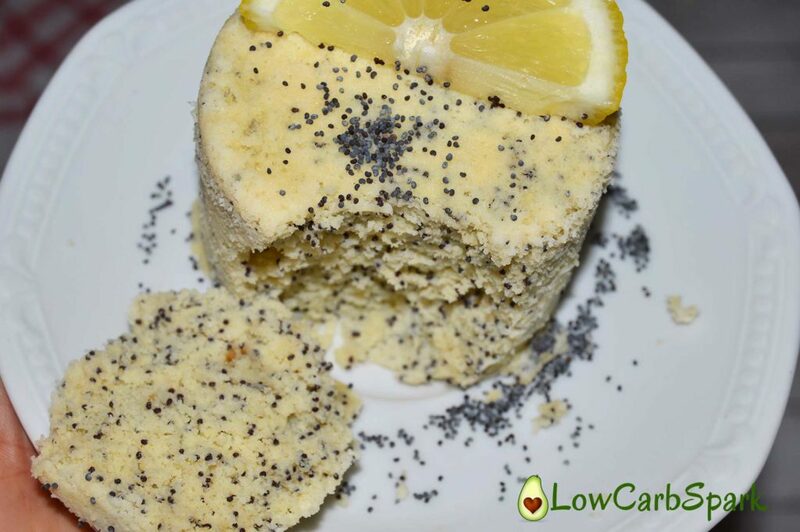 Dairy-Free, Grain-free, Gluten-free Easy Keto 1 Minute Lemon Poppyseed Mug Cake. 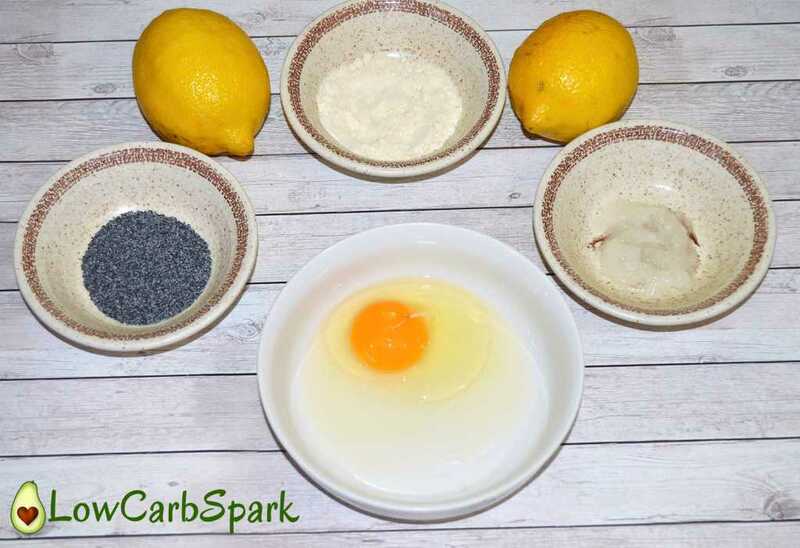 In a bowl mix the egg with the coconut milk, water, melted coconut oil and the lemon juice. 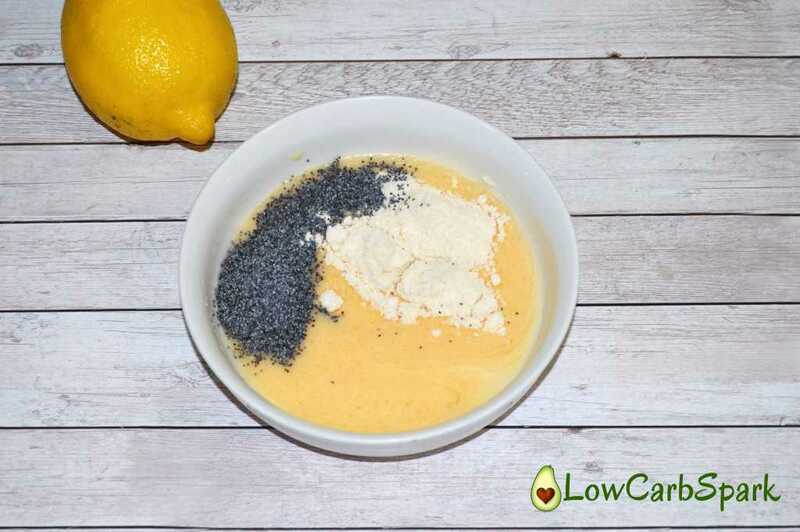 Add in the bowl the coconut flour, poppy seeds, sweetener, lemon zest, and the baking powder. Stir until the ingredients are well combined. 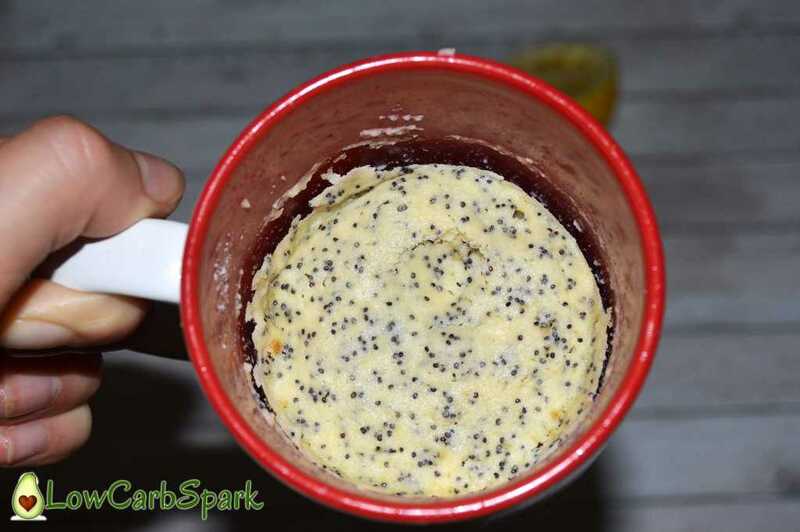 Spoon the batter into a greased mug. Microwave for 1-3 minutes, depending on the power of your microwave. Enjoy topped with a slice of lemon or sugar-free whipped cream. Have you tried the recipe? Let me know in the comments below! I love everything coconut, and I love how it tastes. Add high-quality vanilla extract.